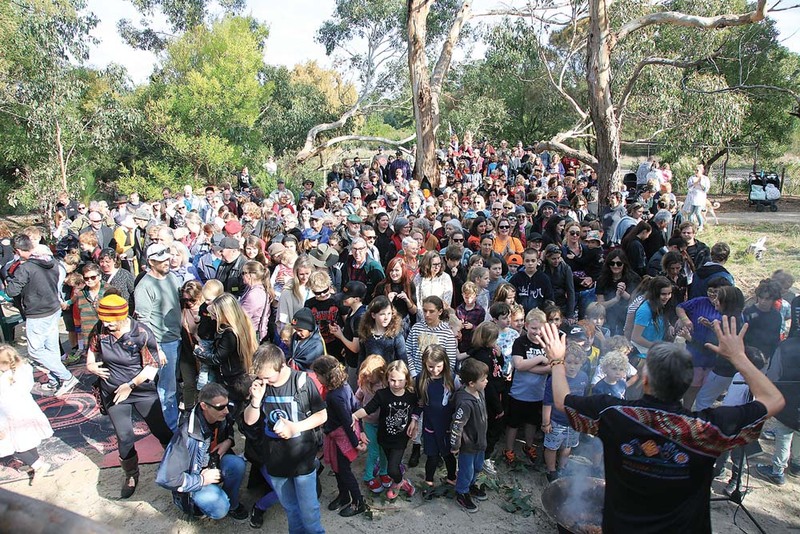 WILLUM Warrain Aboriginal Association held its second Mornington Peninsula Reconciliation Walk on Sunday – Mabo Day 3 June – with the theme: “Don’t keep history a mystery”. 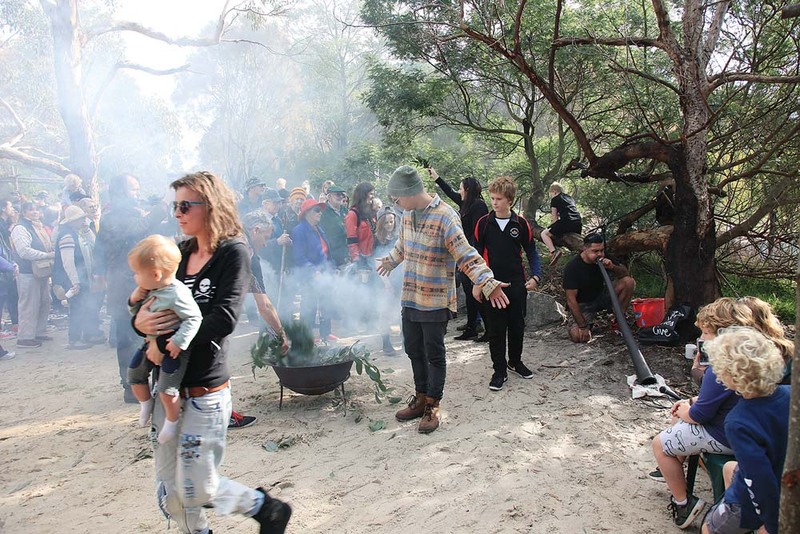 A crowd of about 750, including members of the Aboriginal community, friends and supporters of Willum Warrain, and the broader peninsula community, strolled from Pelican Park along the Hastings foreshore to the Aboriginal Gathering Place at 10 Pound Road. On arrival there was an acknowledgement of country and introduction by board members Jeanette Kaindel and Debbie Clifford. This was followed by speeches from the mayor Cr Bryan Payne and Willum Warrain president Peter Aldenhoven and then a smoking ceremony accompanied by Lionel Lauch on didgeridoo. After the formalities the Balnarring kindergarten choir and the Mullum Mullum Aboriginal choir sang before enjoying a community barbecue. Many of those attending wore Aboriginal or Torres Strait Islander colours, waved flags or carried banners in support of the day. “It was evident that there is a real yearning to learn more about our past and use this understanding to inform our future,” Mr Aldenhoven said. 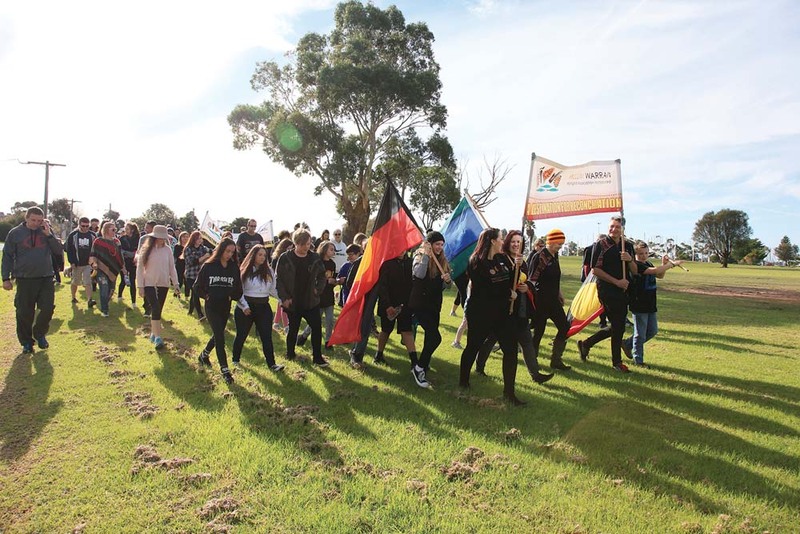 Willum Warrain plans to host the walk every year on the last day of Reconciliation Week, or Mabo Day, which celebrates the trail-blazing land rights achievements of Torres Strait Islander man Eddie “Koiki” Mabo. 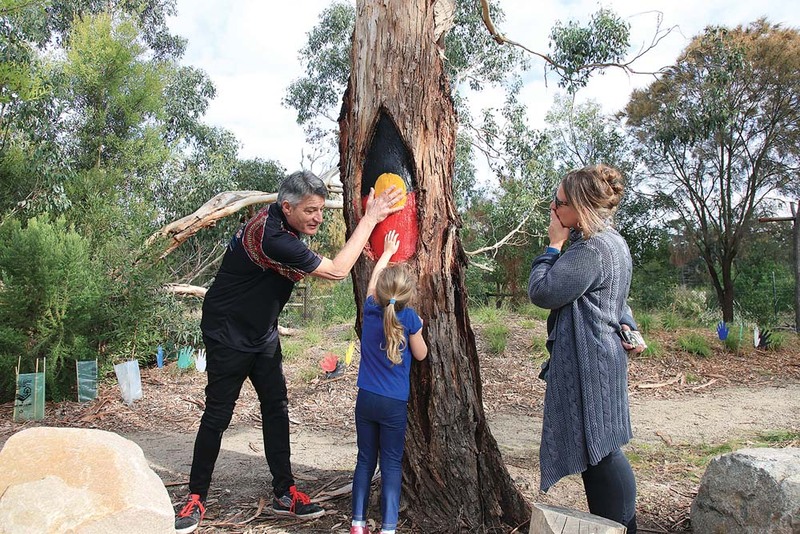 “The hope is that the walk will grow in size and prominence and become an increasingly significant Reconciliation event for the peninsula,” Mr Aldenhoven said.